Water damage can be difficult to detect, and could even go unnoticed for months, but there are a few tell-tale signs that your home may be suffering from such damage. By keeping an eye out for any structural problems and regularly inspecting your home, you can avoid a dangerous escalation in water damages. One of the most visible signs of water damage, water accumulation can come from malfunctioning appliances such as dishwashers, water heaters, faucets, and toilets. Pooling water is a form of water accumulation that can be easy to spot, typically a result of a leaking roof or faulty drainage pipes. Water can cause great aesthetic damage to your home if left unchecked. It can stain walls and carpets, as well as rust your home’s pipes and water heater. By keeping a close watch on any leakage problems, you can prevent your nice home from becoming a brown musty mess. When water seeps into the floorboards of tiles and areas underneath them, it can alter their texture. For example, wood and laminated floors expand when they absorb a lot of water, unsticking them from the base. Although this kind of damage is easy to spot, it may be difficult to identify the source of the damage. One of the telltale signs of water damage is odor. If you consistently find yourself smelling mold, mildew, and other muggy scents then you probably have a water damage problem. Certain drywall materials, such as tape and frames, act like a sponge and attract and absorb moisture. These are the perfect conditions for mold to develop, which leads to those pesky odors. Now that you know what the signs are, it’s time to learn where to look. 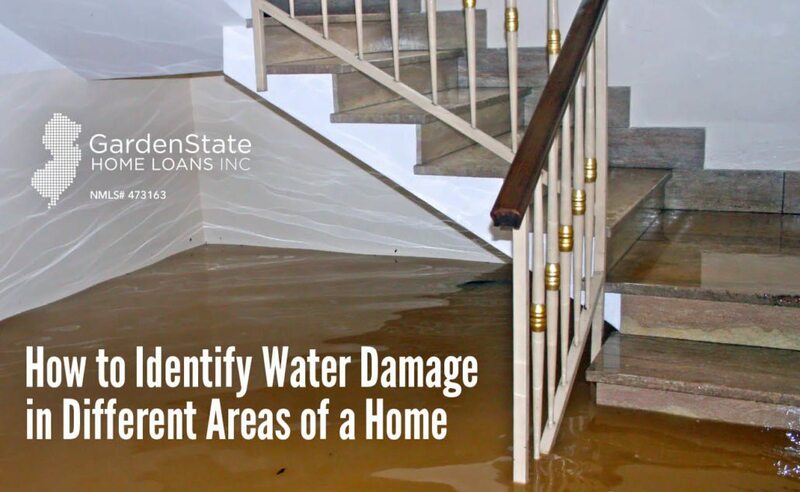 Different areas of your home can provide you with different signs of water damage. When looking for water damage, checking your home’s walls should be one of the first things you do. Any discoloration, stains, or fraying found on the walls usually indicates some form of water damage. In addition to checking the walls, check areas around windows and doors for water damage as well. Water coming from the ceiling can be a huge problem for your house. Whether it’s from a broken pipe or a leaking roof, damage to your ceiling must be addressed as quickly as possible. If you see any water spots or peeling paint on the ceiling, then you probably have water damage. Roofs can become damaged during extreme weather conditions, which can in turn cause water damage throughout your house. After a storm, be sure to examine your roof for any damage. 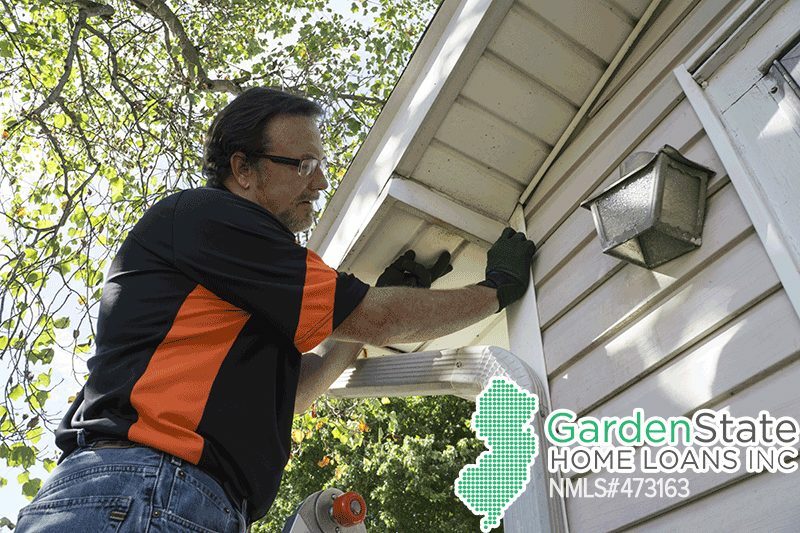 Look closely at your shingles; if there is discoloration or they appear to be loose, your house could be experiencing water damage. One of the main causes of water damage in a home can be defective or malfunctioning appliances. Having problems with appliances can be tricky to identify because they are usually not visible until it is too late. If something does not seem to be functioning completely right, you may want to have it checked out before the problem gets worse. If you have detected visible damage but are unsure what the cause of it is, definitely look into checking pipes and other appliances for leaks. One of the worst places in your home to have water damage is your basement. It can come in all shapes and sizes and, if extreme enough, could destroy this area of the home. Basement flooding can be caused by numerous different events and it is imperative to identify whether or not the damage you are experiencing is a one time event. The signs of this damage can range from small discoloration on your walls to dangerous outgrowths of mold. 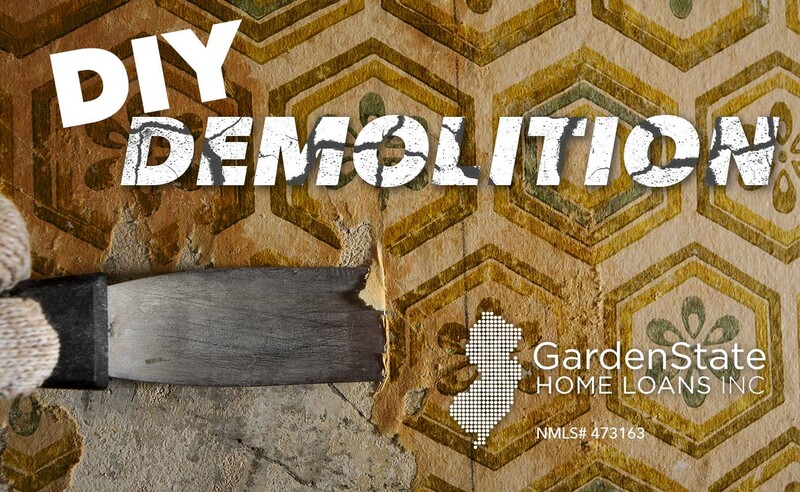 Demolition sounds like a scary word that should stay with the professionals, but you can do it yourself and save some bucks! First things first, you need to look at the demolition as a project itself. Demoing a space may take as much time as the actual renovation, so getting in a mindset that you’re completing a project may help you through the demolition. On that same note, set aside a specific time that will be dedicated to solely demoing. The demolition process can take a lot out of you, so you probably aren’t going to want to do anything afterward. Carve out a period of time, whether it be an afternoon or a whole weekend, and devote it to demolition and forget about any other renovation projects you have planned for the time being. If the area you are demoing is open to other areas, make sure you seal it off. Plaster and drywall have a habit of flying around and getting into places they shouldn’t be! The best way to seal off an area that is not getting demoed is with sheet plastic and blue tape. Closing a door just won’t cut it! Perhaps one of the most important things about DIY demolition (or demolition in general) is knowing what’s behind the walls before you start swinging. Try to figure out what’s behind your wall before you start the demolition process. The last thing you want to do it swing into any electrical wires, pipes, or gas lines. Before doing anything big, use small holes and a flashlight to make sure your wall is clear of anything. And to ward off any unwanted surprises, turn off your electricity just in case you run into any wires you didn’t see at first. If you decide to the demolition by yourself, you need to make sure you have the right tools. A typical demo project will require a sledge, a big crowbar, a pry-bar, and a claw hammer (your claw hammer will get dinged up and may actually break, so make sure that you don’t care about it too much!). In addition to having the right tools, hiring a roll-off dumpster may be very beneficial, especially if you are undertaking a large demo project. They are cost-effective and keep you from taking multiple trips to the dump. If you are taking on a smaller demo project, consider hiring a haul-off service, which will come to your house and pick up anything you want to dispose of. When demoing walls, you’ll need to consider which walls are structural or nonstructural. If you can’t determine whether or not a wall is a load-bearing, don’t do anything to it! Almost all non-bearing walls run parallel to the joists. Stud walls in basements are usually non-bearing. Any trim, kitchens, baths, wallpaper, or drywall is usually safe to tear down. Finally, you want to make sure that you are in the right attire. Boots and coveralls are a must. Boots give extra protection against any rogue tools or nails that happen to land on the ground, and coveralls go over your clothes, which can be especially handy if you’re doing a messy job. If you’re working in an old house, or a dusty one, a dust mask or respirator can be extremely helpful. They protect your breathing and can protect against any lead-based paint, asbestos, or other hazardous materials that may be in the dust. Home staging is the act of preparing a private residence for the real estate market. If you want to sell your home, and sell it fast, staging is what you need to do. Here are some tips and tricks for you. Grimy bathroom walls aren’t just not pretty to look at, but they can end up being a major red-flag for a buyer. But don’t fret: there’s an easy way to get rid of surface mold. In a spray bottle, mix together one part bleach and one part water. Spray it on the wall and watch the mold disappear. A fresh coat of paint will make your bathroom look like new again. Replacing tile is expensive. Instead, paint the tile. To begin, coat tiles with a high-adhesion primer. Afterward, paint on a ceramic epoxy covering. Instead of replacing a shower door, clean it. Mix together ten parts water to one part muriatic acid. Pedestal sinks show off the square footage your bathroom has to offer. First things first, your vanity has to go. Then all you have to do it hook up your new sink. A quick and easy fix that can bring in the big bucks. A master bedroom should appeal to everyone. Paint the walls a neutral color and choose bedding that matches. Afterward, accessorize with items that complement the color scheme. Do you have any extra rooms? Be sure to make the room only have one clear purpose. To avoid this, clear away clutter and paint the room a neutral color. You can then stage it to show a possible room idea. It can be anything from an exercise room to a home office. For more ideas about what to do with a spare room, check out our article all about it! Home buyers love to see that their new home will have plenty of storage space. When staging a home, pack up any unnecessary items and furniture. Any clutter will just take up space, and that’s the opposite of what you want to show buyers. Organize your shelves and closets, and leave closets open, to show the buyers how much space you have. Instead of paying to replace dated kitchen cabinets, all you have to do is stain them. To stain your cabinets, all you have to do is apply the stain in even strokes, painting with the grain of the wood. Add on new hardware, and your cabinets will look up-to-date for a fraction of the price that it would take to replace them. Stainless steel appliances cost a lot of money, but there are ways to get the stainless steel look without having to empty your wallet. First, you can use a stick-on covering. All you have to do is remove the front panels and apply the stainless steel stick on covering and cut it to size. In addition, you can also use stainless steel paint to cover your older appliances and give them a new look. If you have removed any kitchen hardware, you may have some unsightly holes left in your walls. Fixing this is easy! Just dip a toothpick into glue and put it in the stripped hole. Afterward, cut off the remaining piece. Once the glue dries, you can add new hardware. This is, of course, more costly than the other options, however, studies show that new appliances bring in high return from buyers. If your appliances are really dated and make the rest of the kitchen look dated, consider replacing those appliances. If you think your fireplace is overpowering, consider painting it to tone it down. Using a rag or brush, put a light coat of paint on the bricks one at a time. This allows them to take on a new tone without having them get completely covered. If your screen is old, update it by using a can of heat resistant spray paint. Hold the can about eighteen inches away from the screen and spray using long stokes. Clear away clutter! Start to pack up any unnecessary items or furniture and move them to your garage or a storage facility. To a buyer, seeing items scattered around your home indicates a lack of storage space. Bring in some personal touches once you’ve decluttered to make your home seem more lived-in. Small vases of flowers scattered throughout the home, baskets of produce, or other such items help to set the scene of a lived-in home without it seeming cluttered. Many people forget to style their dining room when staging their home. Style it with visitors in mind. Set the table up as if you’re having a dinner party. Down the center of the table, place small vases of flowers. Clean your floors and steam clean your carpets. After making your home look beautiful, the last thing that you want is for your floors to be dirty! If you have wood floors, you might want to consider refinishing them if they are in poor shape. Symmetrical arrangements work well when staging a home. Pull furniture off the walls and use pairs of items, such as sofas, chairs, or lamps, to create a conversation area. Place things that draw the eye at the top of stairs, in hallways, or around corners to create interest from potential buyers to entice them to walk through the whole house. Consider a piece of artwork, a window seat, flowers, or a small colorful rug to catch the eye. If you have awkward areas in your home, such as space under your stairs, find a unique way to show it off. Try setting up a small work station, a bulletin board, or shelving to make the spot a selling point for your home. Do you have any balcony areas? 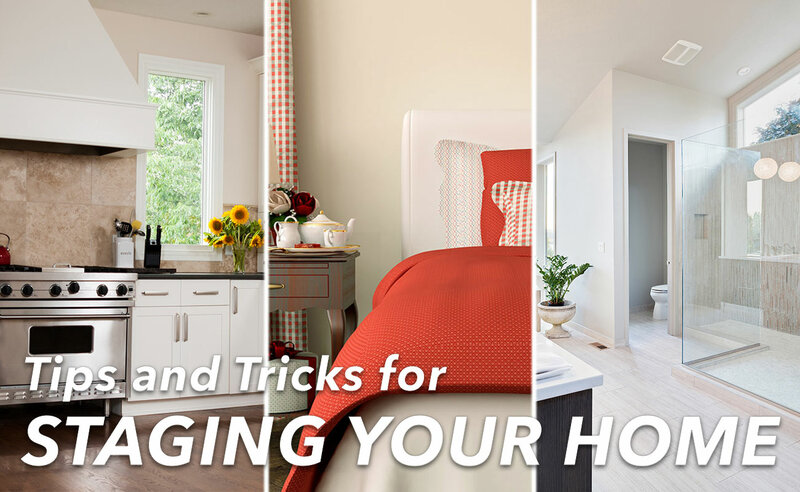 If so, consider staging these as well to show how functional the entirety of your house can be. Add a small table and chair to create a small eating area to add value to your outdoor area. If you have any extra features, such as a pool or fire pit, make sure that they are cleaned. Keep your garden in good shape. During the winter and fall, have a fire burning in the fire pit. Curb appeal gets a person to stop and look at your home. It is equally as important to have the outside of your home in just as great of shape as the inside of your home is. For more information about how to improve your curb appeal, read our article about it! When making the decision to sell your house, you may be wondering if you need to repair anything in your home. Here are some questions to ask yourself to figure out if you should fix it or leave it. Does it make the property look uncared for? Anything that doesn’t work as it should can be an immediate turn-off to a buyer, such as leaky faucets, cracked tiles, an overgrown lawn, anything that doesn’t work as it should, or doesn’t appeal to the eye cosmetically. At an open house, people may walk through quickly, and if they notice a few things that are wrong or off, they may just give up on your home. Can you find a less expensive fix? Rather than spending money on a large upgrade, see if you can find a less costly fix. For example, if the other homes in your neighborhood have updated kitchens, you can paint the cabinets, switch out the hardware, or change the light fixtures. You can also use stainless steel paint to emulate the look and feel of a more expensive product. How much would you need to lower the price if you don’t fix it? If you have a lot of repairs that would be too costly to fix, consider selling the house as is and lowering the cost. People who are looking to buy a fixer-upper will also be looking for homes at a lower asking price. Is it one of the first things a buyer would see? Pretend you are a buyer. Is the broken item something you will see when you first approach the house, or when you first walk into the house? If so, fix it. More often than not, first impressions are your only impressions, so you want to make it a great one. If you have plenty of time in a hot market, there’s no harm in trying to sell without making the big repair as long as you’re pricing it accordingly. 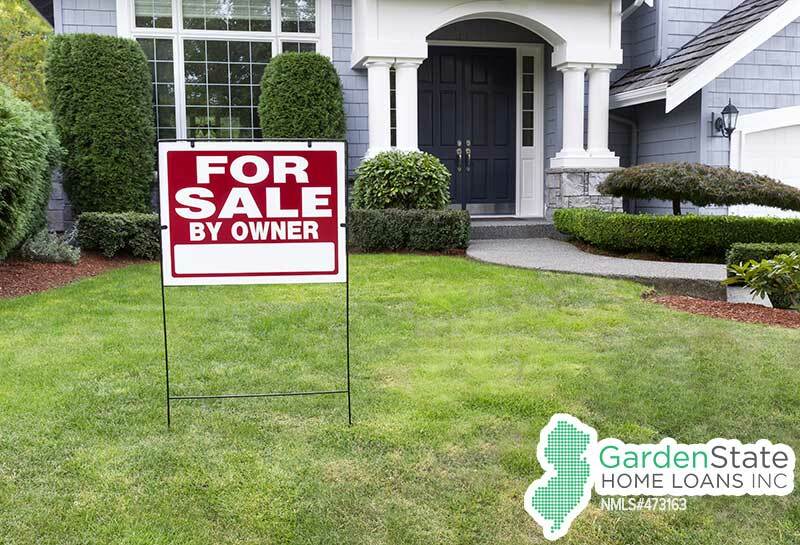 If the buyer is ready to purchase but you do not have time to repair before listing, you could offer the repair as part of the sales agreement. However, if the repair is on a larger scale, it may be best to make the change first and put the home on the market afterward. The newest trend in the housing market is flipping houses. Just look at all the shows on HGTV that are based on this very premise. There has been a recent fascination with fixing up houses to resell, and it is amazing to watch the final product come through. If you’re in the market to flip a house, here are some things that you should know. 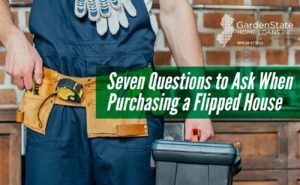 One thing that first-time flippers, or flippers in general, may underestimate are the costs associated with flipping houses. The obvious first expense is the property acquisition cost. Paying cash eliminates interest, but there are still other costs associated with the purchase, such as taxes and utilities. If you are unable to pay with cash, you need to research your different borrowing options and find a lender that offers low-interest rate mortgages. In addition to the costs of acquiring of the house, flippers should also consider the costs of renovating the project, as well as any hidden costs they may occur, such as any issues in the house that may not have been noticed before renovation started. Another thing that flippers might not take into consideration is the knowledge it takes the carry them through a flip. A lot of already-skilled professionals do flip work on the side. 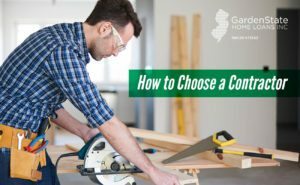 If you do not already have the skills as a handyman or for home improvement, you’ll have to endure the costs to hire these professionals. If you plan on flipping a lot of houses, consider building a team of people that are familiar with all aspects of flipping houses, such as legal, accounting, and construction information. One thing that a person should do before flipping a house is to get a good lay of the land surrounding the possible property. Knowing what characteristics people most look for in these types of houses and what they usually sell for can help you to understand more of what should, or can be, done. Patience is a key ingredient in flipping houses, and finding the right property takes time. Finding the right team to help also takes time. Finding the right decor for the house takes time. Selling the finished home takes time, too. Notice a pattern? Like anything, if you want the flip to turn out right, you’ve got to take your time with it, making sure you are making the right decisions when and where possible. Finally, make sure that you have a plan! Seems fairly basic, but very important. Know your budget and where and how you want to spend the money. Know your after-repair value of the house you are going to flip, which is the amount the house will sell for after everything is done, and buy and rehab the house for 70% or less than what you believe the final selling price will be. 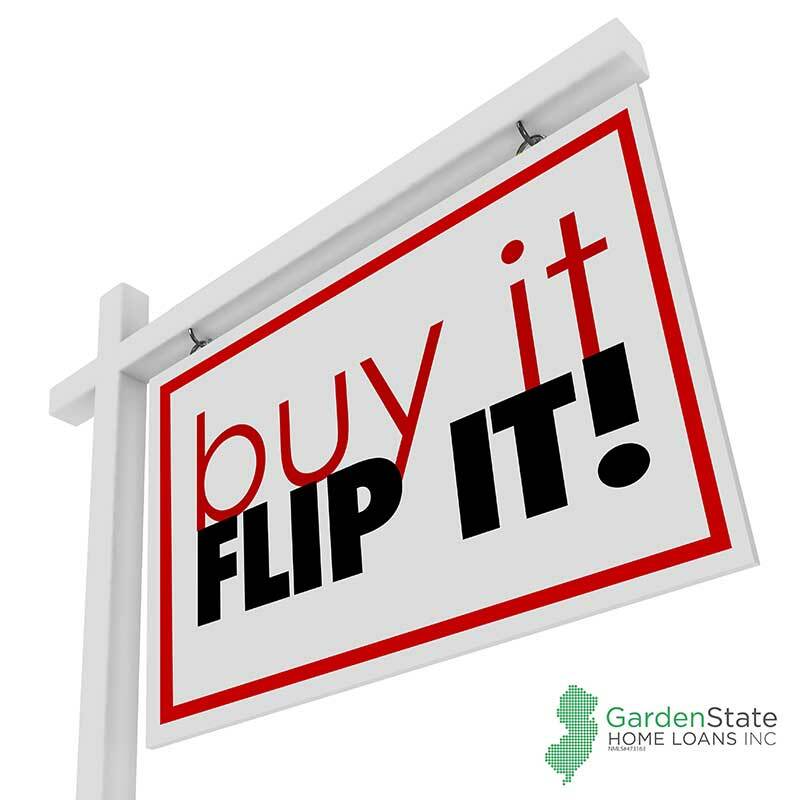 Flipping houses seems to be a “trend” that is here to stay. Before you start a flip, make sure you understand everything that is coming your way.